Now that you’ve settled into University and have started to make a dent in your student loan, it makes sense to consider possible job opportunities that are available to you. Online you can begin looking into vacancies across these following industries, all of which can be fun, and financially rewarding. There are plenty of pubs and bars based in Leeds, particularly in Headingley and the city centre. With over 180 in the centre alone, you’re sure to find the ideal working environment for you whether it’s loud music and dancing, or candlelit cocktails. However, if you’d rather work in a more relaxed bar environment, then go for Headingley which has more of a community feel and is more traditional and laid back. As you make your way towards the city centre the atmosphere becomes more upbeat, rowdy and places tend to close at a later hour. When handing your CV in, location may be an important factor to take into consideration as late night shifts mean struggling to get up for lessons the next morning. Leeds takes pride in the large range of shopping it has to offer; and its ranking as the fifth-placed retail destination in the UK is a huge tourism draw. The mix of designer brands, boutiques, high-street chains and market stalls gives the student population plenty of options when it comes to searching for a job. 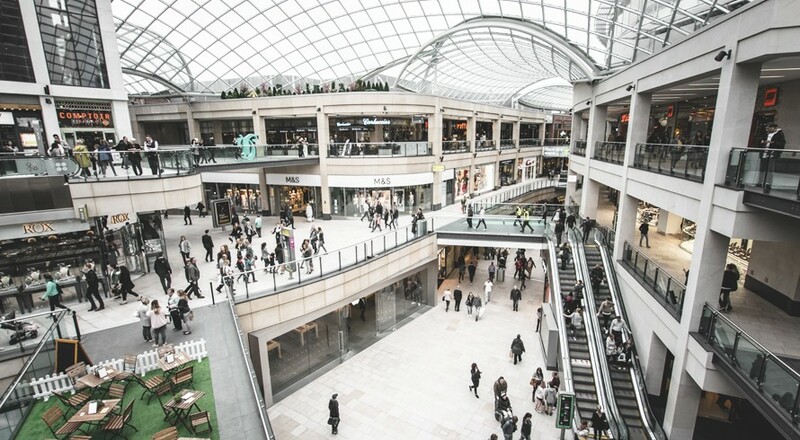 The newly opened Trinity Leeds shopping centre is a hotspot, and the large number of new stores provides ample student job opportunities. If you’re keen to find a job at a store then don your best threads, head to the city centre with your CV, and you’re sure to find something to suit you. Waiter and waitress jobs often have a rapid turnover and not the best pay, however as a student, the flexibility in this line of work can be very appealing. There is a world of cuisine to choose from in Leeds ranging from simple traditional foods to up-market high quality restaurants. The majority of Leeds eateries are based in the city centre, however, there are also smaller chains and cafes that could be of interest to you within Headingley. An added bonus is that you’ll be working for tips; customers may not be the most generous, but every little helps! With supermarket chains dotted all around Leeds, this job could be ideal for students looking for some part time work. Within the student areas of Hyde Park, Headingley and the city centre you’ll find a number of stores, including Morrisons and Sainsburys. There are, however, plenty of smaller branches scattered in all three areas and although supermarkets may be the most challenging job to land, they will often be the best paid. Shifts work will often be evenings and weekends when you’re contracted at a supermarket, and whilst it might not be your chosen way to spend a Saturday, you’ll love the source of income it can provide.